Pregnant Women – What Product Ingredients are Safe for Skin Care During Pregnancy? Note from Dr. Irwin: This article was written by dermatologist Dr. Heather D. Rogers. When you are pregnant, or trying to get pregnant, you already know there are a lot of limitations in medications you can take and foods you can eat. Patients ask us about safe pregnancy skin care, and which ingredients they should avoid while pregnant and nursing, especially when it comes to pregnancy and acne. We all know that pregnancy is a temporary but very important time in our lives. Our dermatology practice and most dermatologists believe that no risks should be taken unless it’s extremely important for our health or our baby’s health! Also, if we should have a difficult pregnancy or birth, we don’t want to look back and second guess our choices about medications or procedures that weren’t absolutely essential. There are actually very few studies evaluating the safety during pregnancy of the active ingredients in many skin care products. This makes it difficult for physicians to say with certainty that a specific ingredient is completely safe to use regularly throughout pregnancy. Because pregnancy is a very important and very temporary state, doctors often recommend avoidance. This is the safest, most conservative course, but can sometimes lead to a long nine months for mom! What product ingredients are safe for skin care during pregnancy? This is the question we are asked most often. Most skin care ingredients in drugstore and dermatology non-prescription products are safe in pregnancy. Some prescription medications, both oral and topical, are not. And there are some controversial products that you may or may not want to avoid. For acne, which is one of the most common problems in pregnancy, the only truly safe and best skincare products to use during pregnancy are the glycolic acid or other AHA (alpha hydroxy acid) products and peels. This is because they are derived from sugar cane. You may also want to consider using organic product lines like the Eminence line or Juice Beauty, for example, during your pregnancy. Using these organic products will limit your exposure to chemicals in many skin care products. What ingredients or medications should you avoid for skin care during pregnancy? What skin care or anti-aging treatments should you avoid during pregnancy? You should not have cosmetic and laser procedures like Botox, Dysport, or fillers of any kind. Laser treatments should be avoided also. Even though there are no studies for these products or devices on pregnant women, it does not make sense to take any unnecessary risks. For example, IPL treatments (photorejuvenation or photofacials), are really just the application of light on the surface of the skin, and we have never seen any reports of pregnancy related problems. However, we still recommend against IPLs and all other laser treatments to be conservative. Topical medications you may want to avoid during pregnancy. Some of these topical medications are in the “gray zone” or controversial. Some doctors will prescribe them and others won’t. The “B” category in the FDA Pregnancy Categories is “No Evidence of Risk in Humans.” But, again, some doctors will prescribe them, others won’t. That decision often depends on the patient, their skin condition, their stage of pregnancy, their level of anxiety over medications , etc. Benzoyl Peroxide, Salicylic Acid, and Acne Care During Pregnancy. Many of our patients ask me about using benzoyl peroxide or salicylic acid. Benzyl peroxide is a class C, so there are no studies on humans or animals, but it can be absorbed through the skin. We recommend avoiding this medication for skin care during pregnancy. Other topical acne treatment options are topical erythromycin or clindamycin (both class B), or azelaic acid (class B) for the treatment of acne, rosacea, and hyperpigmentation during pregnancy. Azelaic acid is sold as the brand name Finacea. Discuss these medications with your doctor and see the addendum below for FDA categories and what they mean. Salicylic acid is a class C. It is the metabolite of aspirin, which is class D and can be absorbed through the skin. No studies exist on pregnant women but animal studies have shown an association with birth defects when given systemically in high doses. We recommend avoiding this medication for safe skin care during pregnancy. See also Dr. Irwin’s article on Acne In Depth for more information. Another, relatively new option for pregnant women with acne, is a blue-light (also called ALA/PDT) treatment. Dermatologists usually offer this either with the use of a clear lotion that is applied to the skin before the blue light exposure, or without the lotion. The lotion is an aminolevulinic acid. Most pregnant women use the blue light without the aminolevulinic acid. With the blue light treatments, you sit under a blue light for 15 minutes twice a week. The natural blue light kills the p. acnes bacteria that can cause acne. This is an all-natural and a 100% safe option for skin care during pregnancy and breast-feeding. Some offices offer this as “BLU-U Acne Treatments” or “Blue Light Treatments”. You can search for a BLU-U doctor near you here. What about melasma in pregnancy and hydroquinones? Hydroquinone is class C, there is no data on its use in pregnancy and we do not recommend it. For melasma during pregnancy, we recommend hats, broad-spectrum sunscreen with a physical (like zinc or titanium) as opposed to chemical sun, and possibly azelaic acid (prescription). Glycolic peels are safe in pregnancy but may make melasma worse depending on the time of year of your pregnancy and how much time you spend outdoors. Tretinoin (Renova, Retin A, etc.) 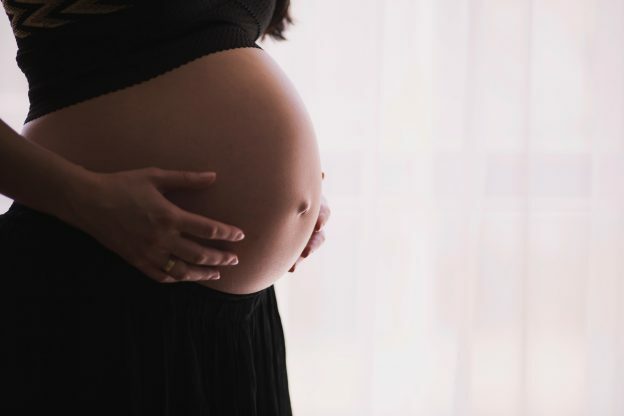 is class C, and there are two case reports of birth defects identified after mothers used tretinoin before and during their first trimester of pregnancy, but the true cause was not proven. Topical corticosteroids are generally considered safe in pregnancy and birth defects due to topical steroids have not been documented in humans. Should pregnant/nursing women be concerned about using certain sunscreen active ingredients? Most research on the safety of sunscreen ingredients is studies where animals are fed high doses of the ingredient in question. It is difficult to know whether this research applies to human use of sunscreens. Yet, to err on the side of caution, during pregnancy we encourage patients to first cover up by using long sleeves, hats and sunglasses. Then we recommend the use of physical/mineral sun blockers like zinc oxide and titanium dioxide as opposed to chemical sunscreens. See Dr. Irwin’s Sunscreen article for more information. In summary, please talk to your doctor or dermatologist about your specific needs for skin care during pregnancy. And keep in mind, when you are pregnant or actively trying, it is best to stick with tried and true natural ingredients. Best wishes for you and your baby! Addendum: FDA Risk Categories for Pregnant Women. Here are the ratings that the FDA uses in regards to pregnancy risks. Every medication, whether prescription or over the counter, will have one of the above ratings in their patient information pamphlet, which is usually a paper insert with your medication. A Controlled Studies Show No Risk. Studies in pregnant women show the medication causes no increased risk to the fetus during pregnancy. B No Evidence of Risk In Humans. Studies in pregnant women have not shown increased risk of fetal abnormalities despite adverse findings in animals or in the absence of adequate human studies, animal studies show no increased fetal risk. C Risk Cannot Be Ruled Out. Studies are unavailable and animal studies have shown a risk to the fetus or are also lacking. There is a chance of fetal harm if taken during pregnancy but the potential benefits may outweigh the potential harm. D Positive Evidence Of Risk. Studies in pregnant women have demonstrated a risk to the fetus. However, the benefits of therapy may outweigh the potential risk such as in life-threatening situations. X Contraindicated In Pregnancy. Studies in animals or pregnant women have demonstrated positive evidence of fetal abnormalities. The use of the product is contraindicated in women who are or may become pregnant. Pregnancy and Cosmetic Procedures- what is advised? Melasma and Pregnancy-will the pregnancy make it worse?